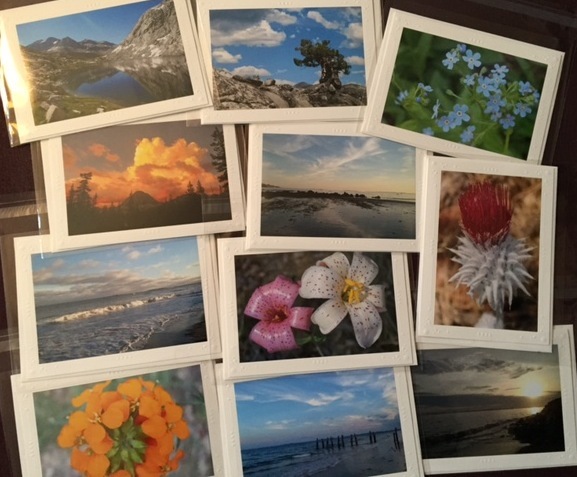 I have been busy making greeting cards from photos I took on the PCT and on my ocean walks this past year. They look beautiful as stand alone art, or can be sent as a custom card. They are mounted on acid-free paper and each one is individually wrapped. I am really happy with the way they look and am selling them for $4/each. Please let me know if you are interested!